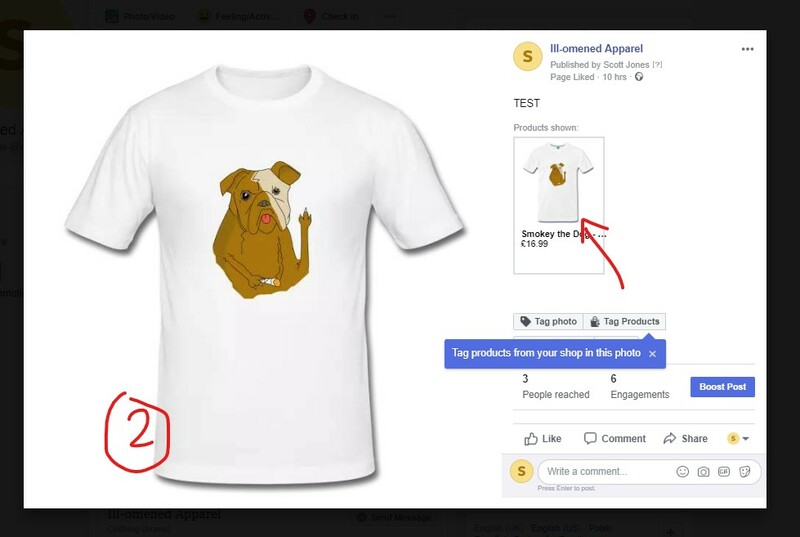 So, i added spreadshirt to my business facebook catalog and have spreadshirt settings traffic everyone to my website after clicking the product. 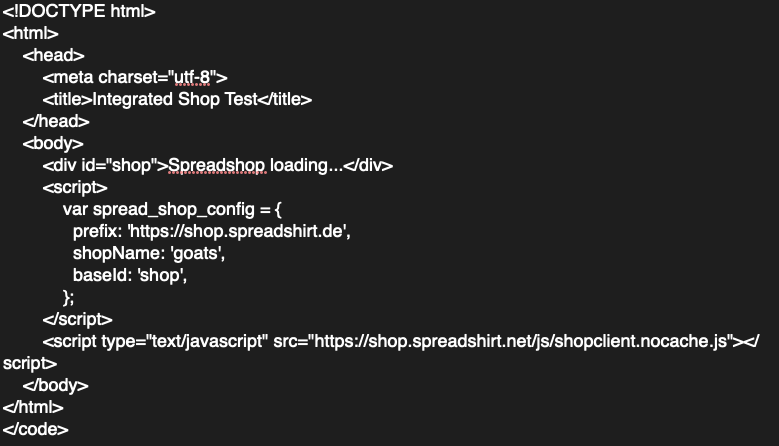 my website has the spreadshirt shop embedded in one of my website pages with code and after tagging products i post on facebook, once i click on the tags it takes me to my website but doesnt show the original product or shop, or even the rest of the website? i understand, in the catalogs you can change the url link to traffic elsewhere, i can do my shops url and it goes there but i want it to traffic to the right product w/ shop, not a blank page. anyone know how to fix this or had this issue before? To solve this riddle, I´d need your website or shop URL, as well as your FB page where the products are beeing posted. Can you please provide any of these informations? Ill-omened Apparel. 2 likes. Ill-Omened apparel is a clothing brand. erm… I have found that you probably mixed up your accounts. This one is different to the shop 100309216 which is embedded in your web page. Please make sure to use the feed that comes from your shop which is already set to active. US Market =*.com Platform = US Forum. Both, Forum & Account share the same login credentials. EU Market =*net / *.co.uk Platform = EU Forum. Same here, your partner account credentials are beeing used for the forum as well. 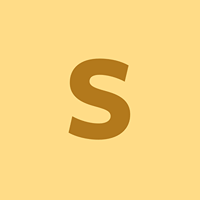 The US Account that´s linked to this forum profile was created on 02/07/2019. Your last login was 11 days ago. Your EU / UK Account was created on 06/12/2018 using the same email adress. the products load fine in the Facebook Manager catalogue and the embedded shop on my website, its when i tag them in a post on facebook and click them there that they wont load in the shop on my website. the shop wont even appear, id upload some screenshots but it will only let me load one. okay. this was a tough one, but we´ve found the issue inside your web page´s code. You have placed the shop within an iframe. Unfortunately this is not intended. The product feed holds a direct URL per article, but the iframe “buries” your shop within that iframe. Ergo: the user gets a blank page or gets redirected to the shop overview page. Please remove the iframe OR move the shop code snippet out of the iframe.